A modern twist on a classic! 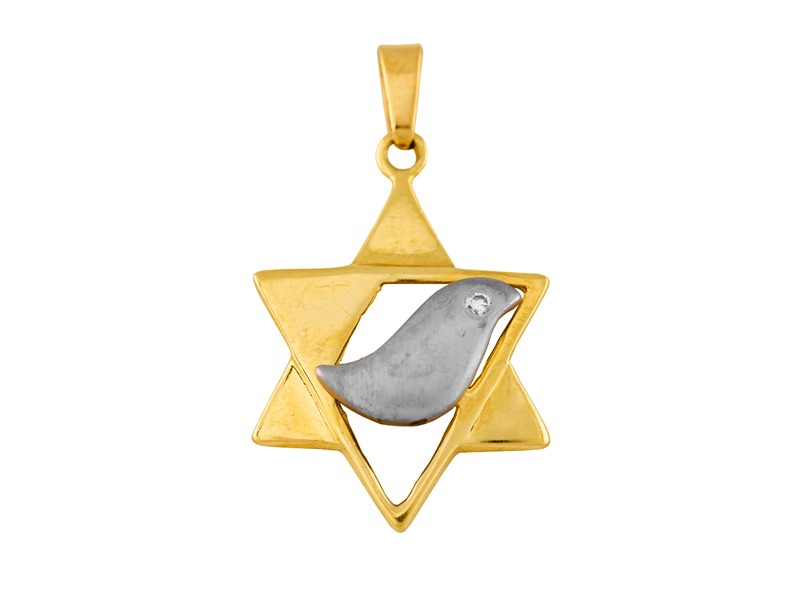 This lovely pendant features a Star of David and a dove crafted from two tone 14k gold. Dove is embellished with high quality 0.015 ct. diamond stud. Symbolic of faith and peace this pendant is a marvelous contemporary gift idea!